Yes, I know some of you will think I’m crazy! 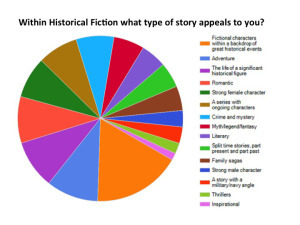 However, the topic of reading is always on my mind and this time, with advice from historical fiction editor and blogger Jenny Quinlan and New York Time best-selling author Beatriz Williams, fellow panel members at the upcoming Historical Novel Society’s Denver conference, I’m releasing a 3rd reader survey. Please take the survey and share the link with friends, family, and on as many social media venues as you can – https://www.surveymonkey.com/s/GXRD9B7. The survey will be open until May 14. Many thanks for your help. Interesting that the most popular stories are those of fictional characters living in historically important times. That describes many, many classics, like Dickens’ “Tale of Two Cities,” or Stevenson’s pirate tales, which are still read today. Awesome. I will comment on her site, too, but thanks for passing this along. It takes about 20 minutes to answer the questions and I actually learned a lot by answering them. They should! It’s a great book. Thanks, Diane. I wish the secret wouldn’t be kept so well!